Pick a small area indoors or outdoors and inspect it very carefully. Use the details you would normally overlook to inspire you. I chose the desk in my office—an area I haven’t seen much for the past two weeks. Strictly speaking, tonight is the end of our holiday break. The kids should be going back to school tomorrow, and I should return to work. The weather has other plans. Severe cold and wind are about to pummel the many inches of snow we’ve accumulated here in the western Chicago suburbs. So the schools will be closed. And because running my consulting agency comes second to parenting, Spencer Grace will be operating a very limited schedule tomorrow. Remembering today’s make something prompt, I gave that do-hickey a bit more thought and attention. 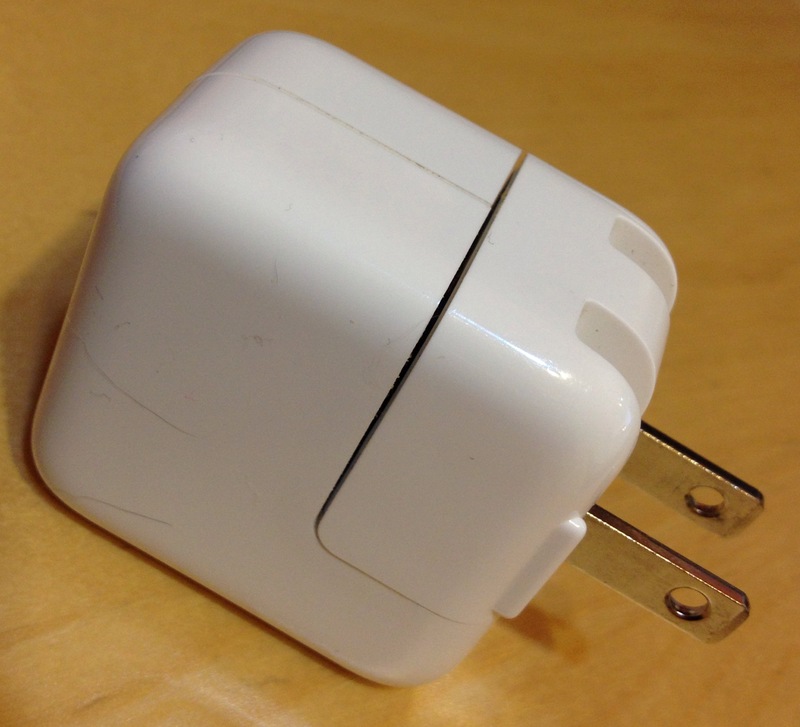 Enough, in fact, to compose a limerick in honor of the precious commodity that is the iDevice power adapter. Nicely done – and nice idea for inspiration. Thanks and best to you. Thank you! It does make you wonder … What other small, everyday objects could inspire our ideas and creativity?